Sinéad Ennis is from Derryleckagh and is married to Mark. They have a young daughter, Aoife. Sinéad is a playing member of Burren GAC and has represented Down at Senior level. 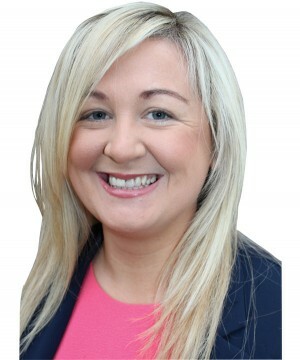 As a Councillor on the new Newry, Mourne and Down Council she has proudly served and tirelessly worked on behalf of her constituents since 2013. Sinéad is a strong advocate of community safety issues. She sits on the local Policing & Community Safety Partnership and is an accredited mediator / restorative practitioner. In this election she will stand for Integrity, Equality and Respect for all. As part of a strong Sinn Féin Assembly team, Sinéad will oppose the policies of Tory austerity and their implementation of Brexit. Her key issues in this election are parity of esteem and equality. These are the only basis for partnership government and for the reconciliation that must be the next phase in our peace process.